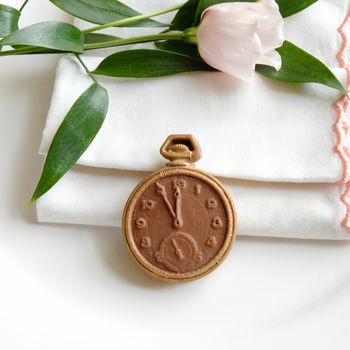 Our Pocket Watches are the perfect favours for an exquisitely elegant wedding. 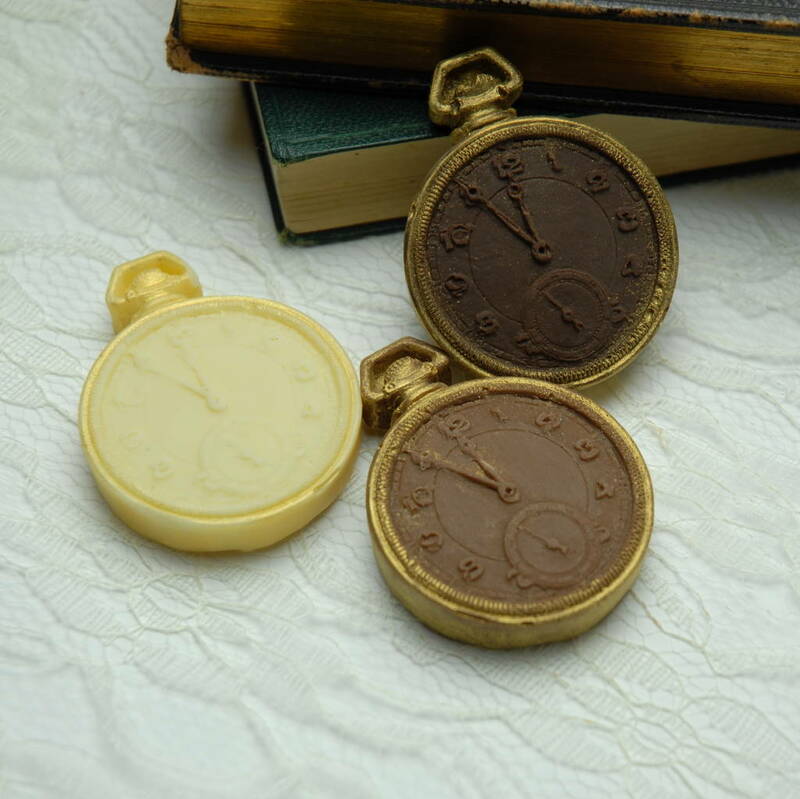 Each Pocket Watch is individually handmade from smooth Belgian chocolate dusted in edible gold shimmer. 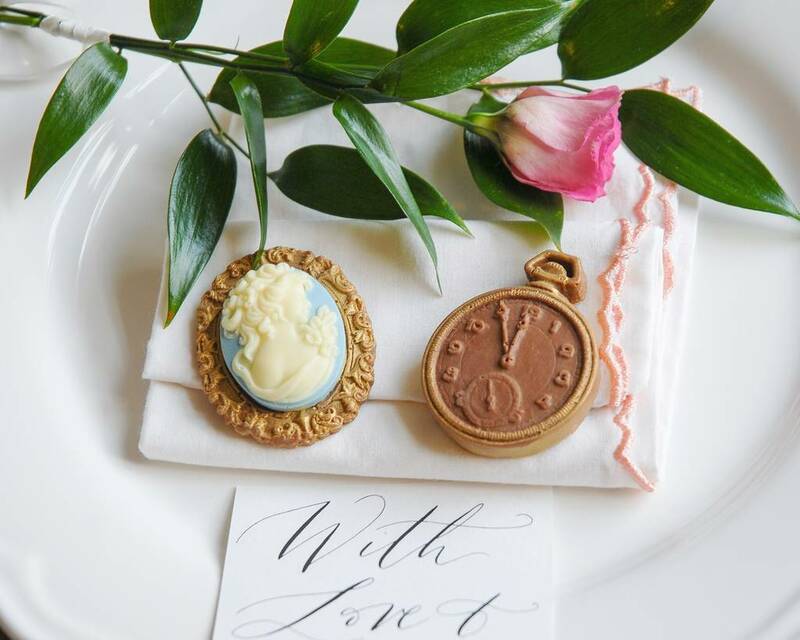 Why not pair with our Cameo Brooches for ideal His & Hers favours. 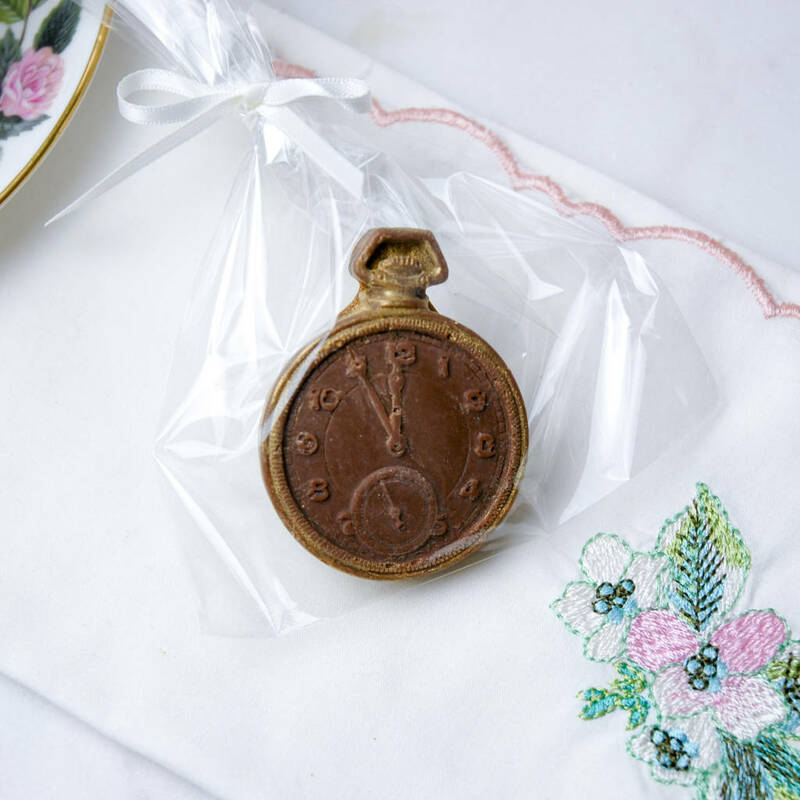 Each Pocket Watch can come in either a box tied with an ivory ribbon, or in a clear bag. Each Pocket Watch in a bag can come with or without a Josephine's Label. Ingredients labels can be omitted, if preferred. 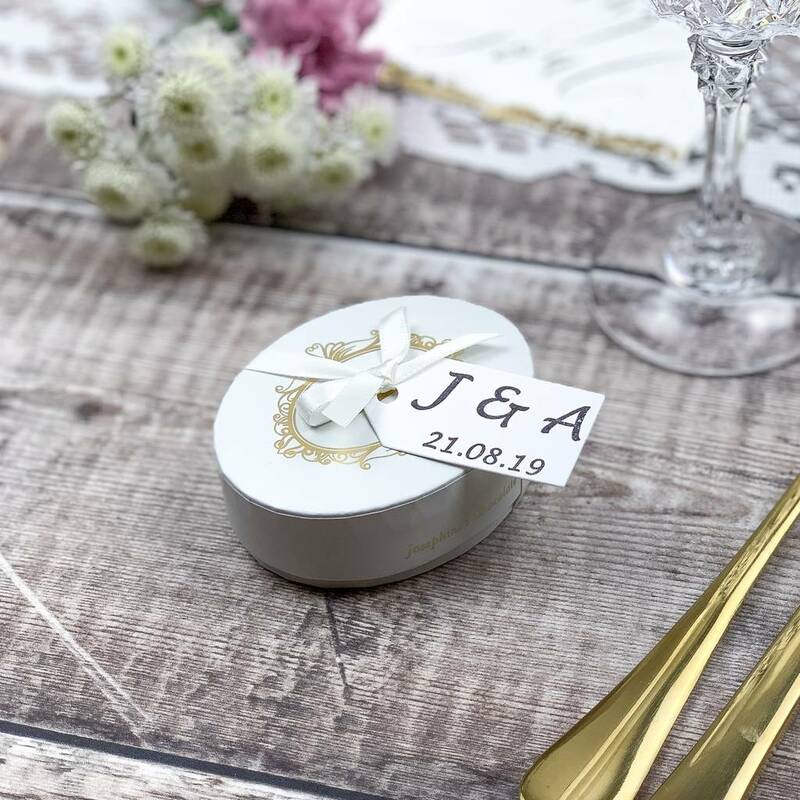 Available with Personalised Initial and Wedding Date Tags. Milk Chocolate Contains: Cocoa Solids 33.6% minimum, Milk solids 20.8% minimum. 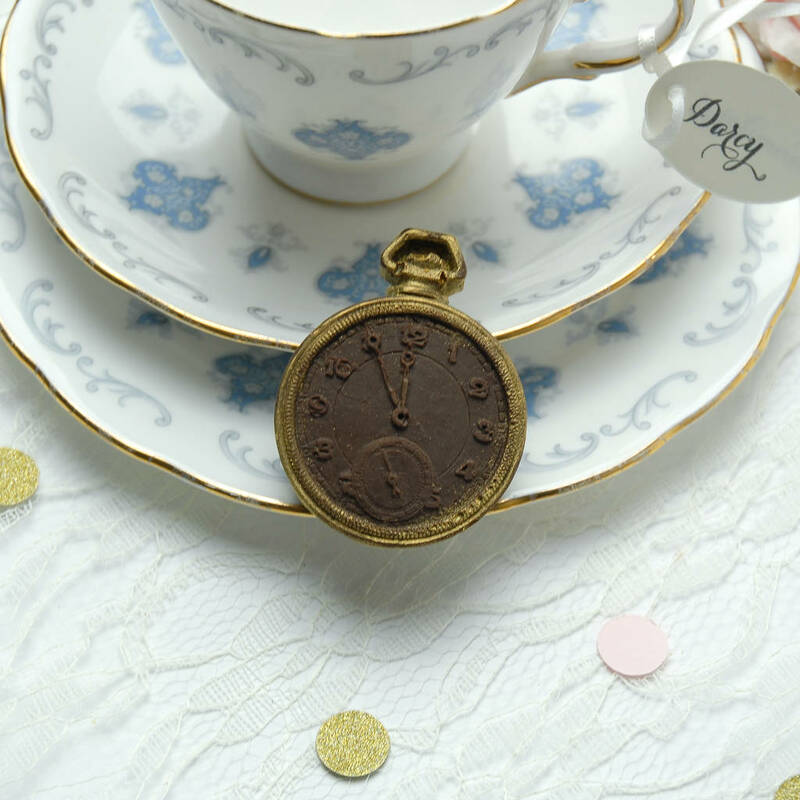 White Chocolate Contains: Cocoa Solids 28% minimum, Milk solids 22% minimum. Dark Chocolate Contains: Cocoa Solids 54.5.% minimum. 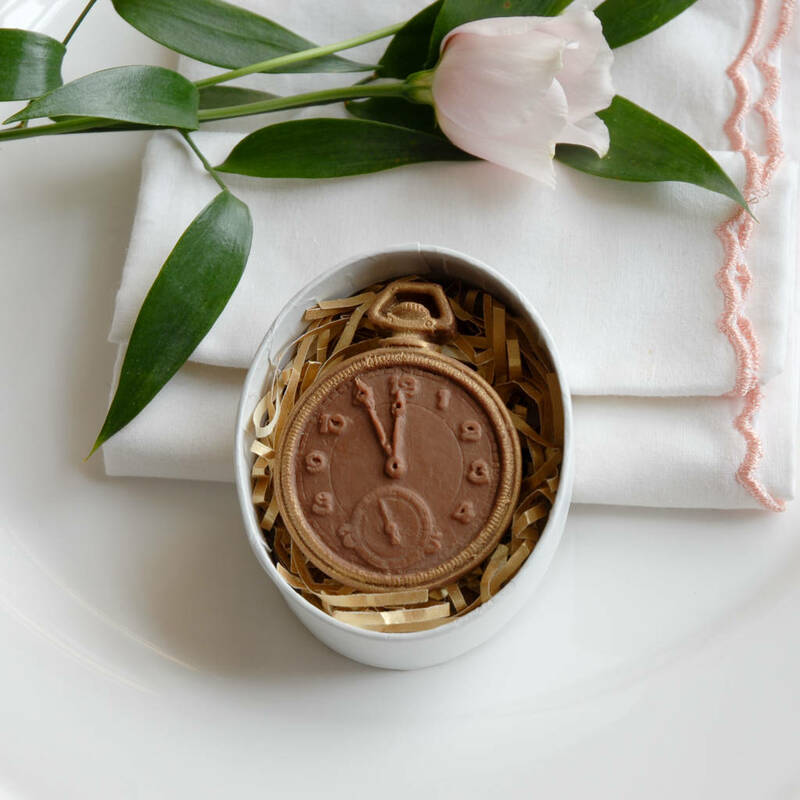 This product is dispatched to you by Josephine's Chocolate.